FLORENCEVILLE-BRISTOL, NB – Railcar Brewing has opened its new location in the village of Perth-Andover, New Brunswick. Situated approximately 40 km north of its previous location in Florenceville-Bristol, the new Railcar is not yet licensed to sell beer to go, but samples of several brands including Honey Wheat, Mango Ale, Citra IPA, DIPA, and Blonde Ale are available in the taproom and café. Besides the beer, patrons can also enjoy coffee from Whitney Coffee Company, oatcakes from I’m Here & I’m Hungry Baked Goods, soda and lemonade. 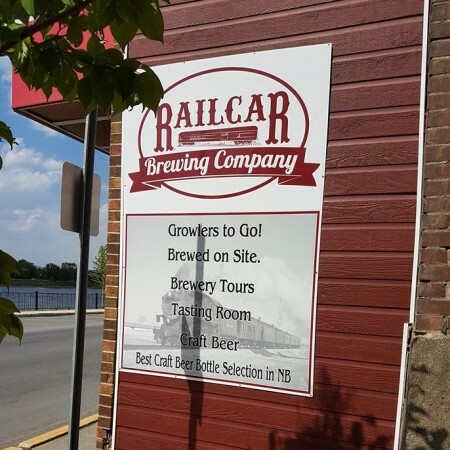 Railcar Brewing is located at 694 Perth Main St. in Perth-Andover. For more details, see the brewery’s Facebook page.